Summer-season is here in full swing and we need to beat the heat.So,I thought of sharing my thoughts on the Evian's mineral water facial spray. 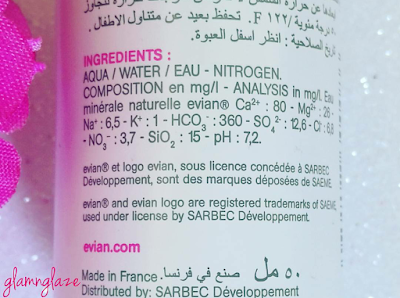 About Evian:Famous for their beauty savvy, French women know the secret to good skin - Evian Mineral Water. Evian supplies the vital moisture skin so desperately needs to look soft, supple, healthy, and young looking. Use it with complete confidence to rehydrate and deliver the perfect balance of minerals skin demands. For home or on the go, now you can experience the benefits of the fabulous French spa treatment that women have been enjoying for over 150 years. 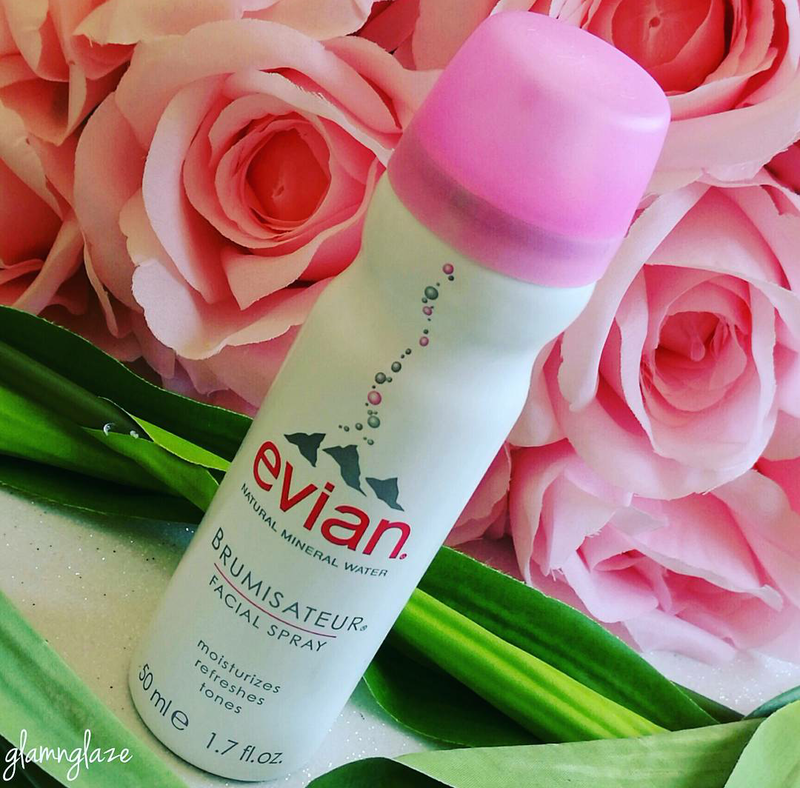 A hydrating facial spray that delivers powered micro-droplets of pure evian® natural spring water in a leak-proof canister, sealed at the source in Evian-les-bains, France. 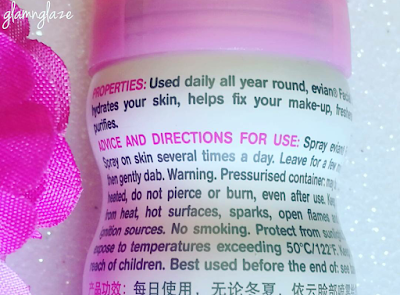 Mist generously after cleansing, morning and night before applying moisturizer. 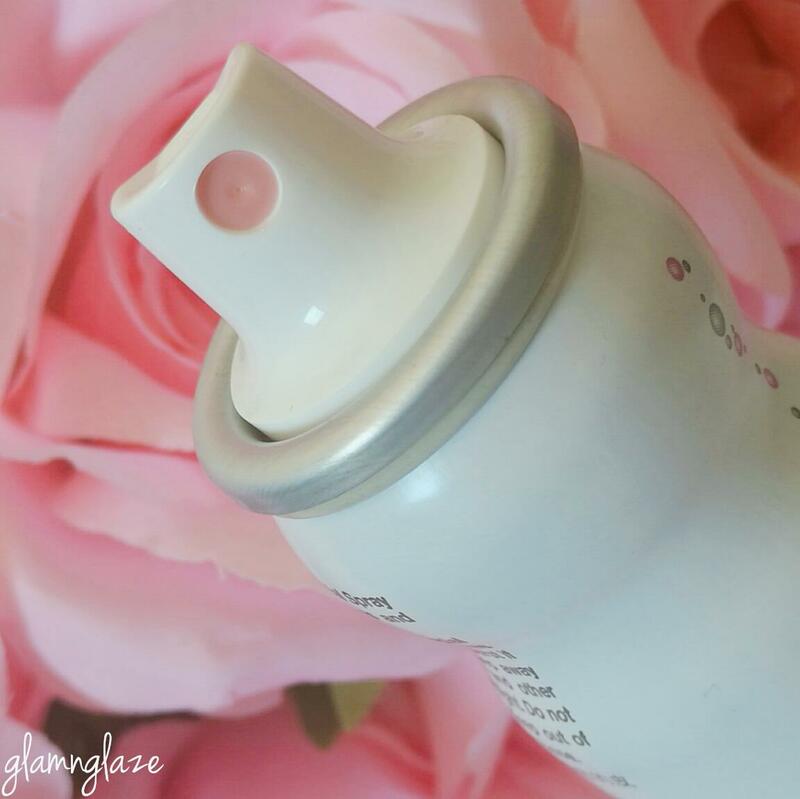 Spray lightly after applying makeup for a smooth, blended look. 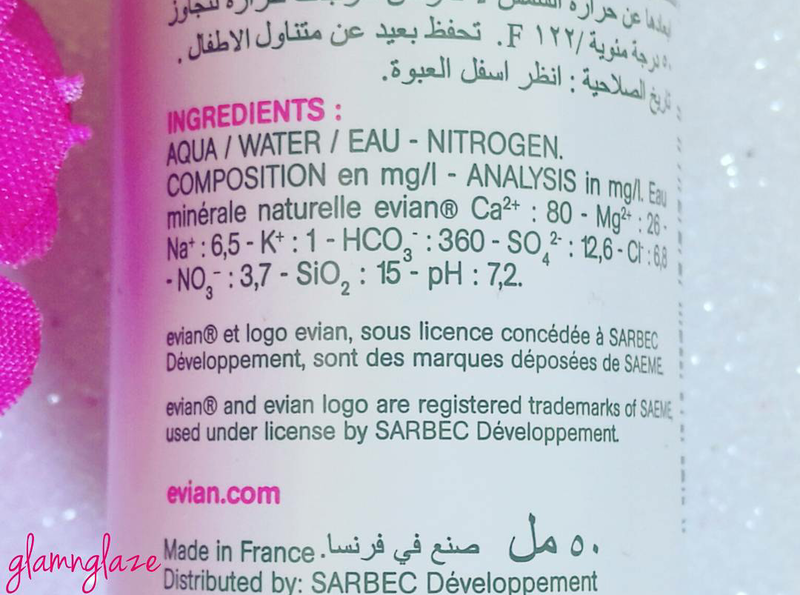 Pure, Natural evian® Mineral Water: Propelled by safe nitrogen (the air we breathe is 80 percent nitrogen) with a neutral 7.2 ph. The white-coloured bottle is made up of steel and has a pink coloured cap.Very chic and feminine packaging...I must say. The packaging is sturdy and travel-friendly. Moisturizes ,tones and refreshes...very true. Spritz all over the face and let it sink into the skin. Yes.I am already on my second bottle. 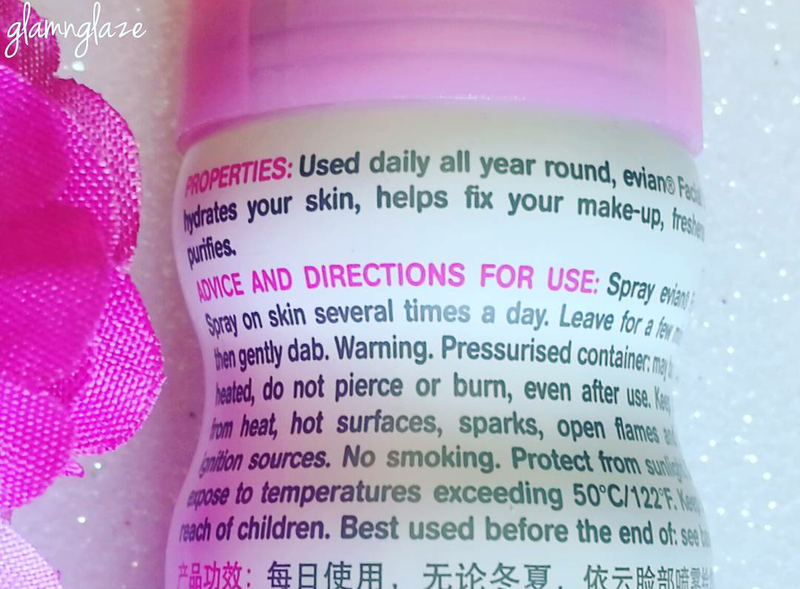 Overall,I love this facial spray and it's appropriate for summers.I recommend this product to those who are looking for an effective and budget-friendly facial spray.